Bamboo Green Habourside hotel is an 5 storey complex conveniently located in the heart of the city, by the romantic and picturesque Han river. Right in the center of business, commercial and entertainment areas, is only minutes drive from the DaNang international airport or DaNang railway station and in walking distance of Cham museum. Hotel restaurant and bar can accommodate up to 150 guests. 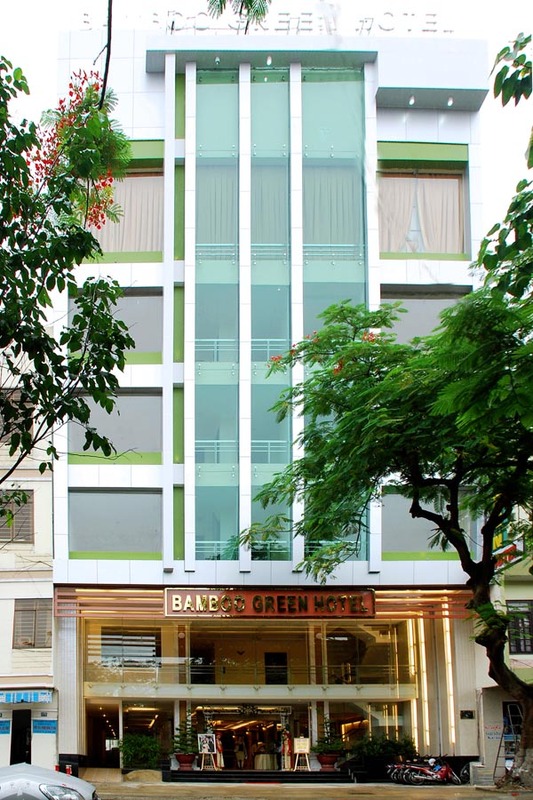 Well-trained and sincere service staff can provide Vietnamese, Chinese and European cuisines. 50 room are beautifully decorated and appointed with modern and contemporary furnishings. Fire detector and privated bathroom with hot shower..